New door panel sizes and a new fir grain texture for VistaGrande as well as a New Craftsman inspired Heritage Fiberglass Door Collection. 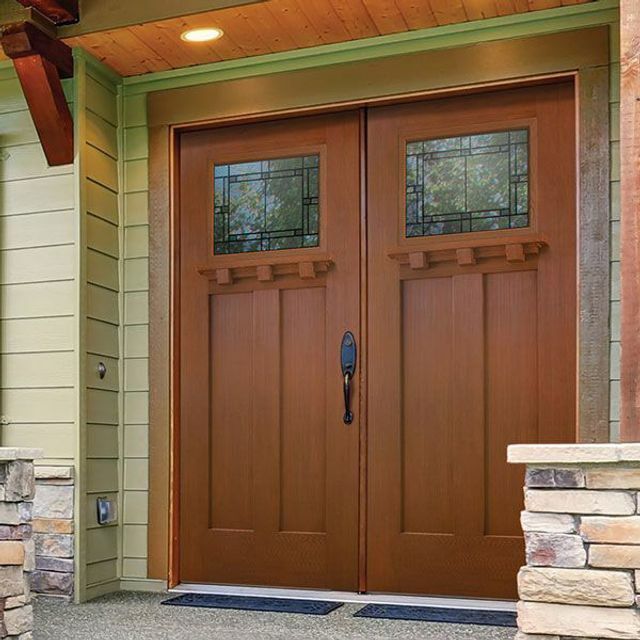 The new recessed 3-Panel exterior door combines crisp, clean lines inspired by classic craftsman architecture with the proven durability of fiberglass. Select an opaque application for added privacy, or choose from our NEW Heartland Craftsman decorative glass collection to flood your entryway with natural light. Instantly brighten any space with VistaGrande Flush-Glazed doors. Available in a number of glass options, VistaGrande doors offer a wider viewing area and cleaner appearance over traditional glass inserts. Carry authentic Craftsman style throughout your home with Masonite Heritage Series. Our NEW 3-panel exterior door offer the perfect compliment to our Winslow interior door. 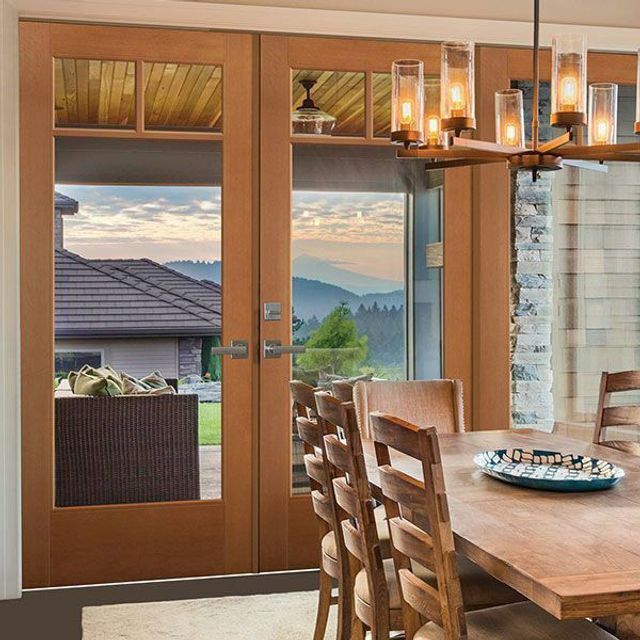 Instantly brighten any space with VistaGrande Flush-Glazed doors. Available in a number of glass options in ½, ¾, lite designs and fir textured fiberglass, VistaGrande doors offer a wider viewing area and cleaner appearance over traditional glass inserts. 1. Allow clear glass to fill your home with light. 2. Decorative options when privacy matters. Choose Chord, Pear or Pearl® textured glass. 3. Classic glass with decorative grid design. Available in Centennial 10® or 15®. 4. SDL offering complements clear or textured glass designs with an array of designs to truly customize your VistaGrande® door. 5. Internal grid offering complements clear glass designs with a comprehensive array of design choices to truly customize your VistaGrande® door. 6. Add authentic craftsman appeal to any entryway. Choose either SDL or Internal Grids. 7. Imagine a blind you don’t have to dust or clean. Our blinds are built into efficient sealed units protected with tempered glass. A single touch easily opens/closes blinds for privacy and light exposure.